The light of the Sun imbues our existence with life and summons our gratitude and reverence. Daylight breaking over the horizon is a very auspicious time for all Hindus, and heralds the start of a new day. A time for new beginnings, new hopes and possibilities. A pristinely beautiful time to thank the Supreme Being for our good fortune, to pray for the courage and fortitude to face old and new challenges; and to uncover our kinder and compassionate souls in dealing with his children. What better way to start the day than by appealing to Ganesha, the elephant-headed God of Beginnings. 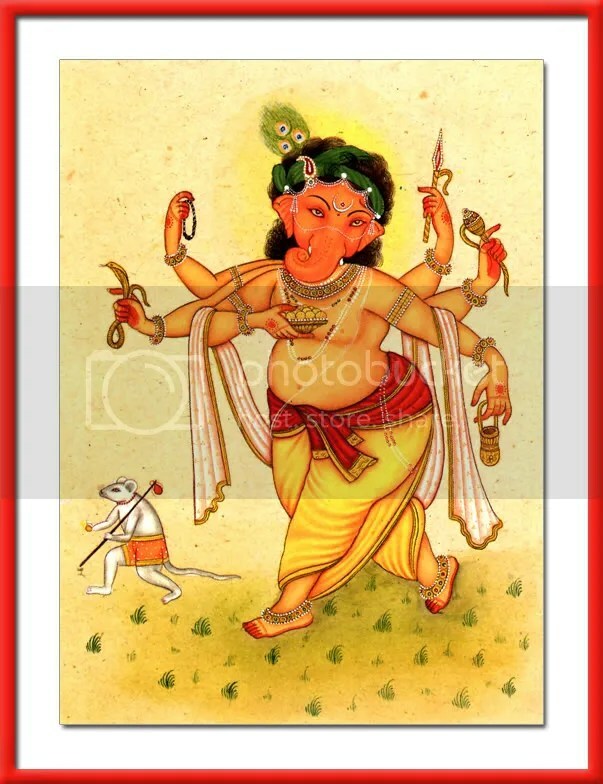 Ganesha, the pot-bellied darling of children all over, is also identified as Vignesh, the Remover of Obstacles, and Vakratunda, One with the curved trunk. Congratulations on your Ganapati Images on Rediff! If you are back in Boston, let us know.